Draw yourself or your OC as a Fantasy Race. Be creative! We want you to fantasize about the fantasy! 1. Your entries must be based on the fantasy genre. Nekomimi? NO! Beastmen? YES! 2. 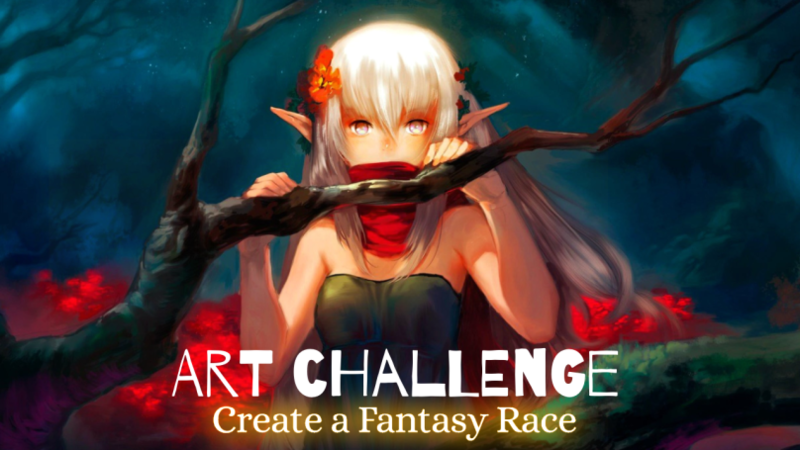 You can draw the already existing races (eg: Elf, Fairy, Beastmen and etc) or if you up to the challenge, YOU CAN CREATE YOUR OWN RACE! Unleash your fantasy and show it to us! Make sure if you are sending the artwork using a link, the link is working properly. Therefore, it is just very recommended to upload on discord. Finally, will you impress us? We will be waiting on the other side, so send us a lot of artwork! As usual, we will put your artwork in the gallery showcase.